Waterproof hammock seat cover to keep your car tidy while transporting your pets comfortably. This waterproof car bench seat cover suits any size cars and SUVs, made of durable oxford materials, protecting the car interior from fur, scratches, and keeping your car dry and cleaning. It is ideal to help protect your lovely pets from falling off the seat when launch, accelerate or brake. Adjustable straps make it fit most cars. And 2 slits to pull seat belt buckles through. Protecting car seat and floor from fur, scratches, and pet smell. just detach and wipe it with a cloth, washing machine is also available. 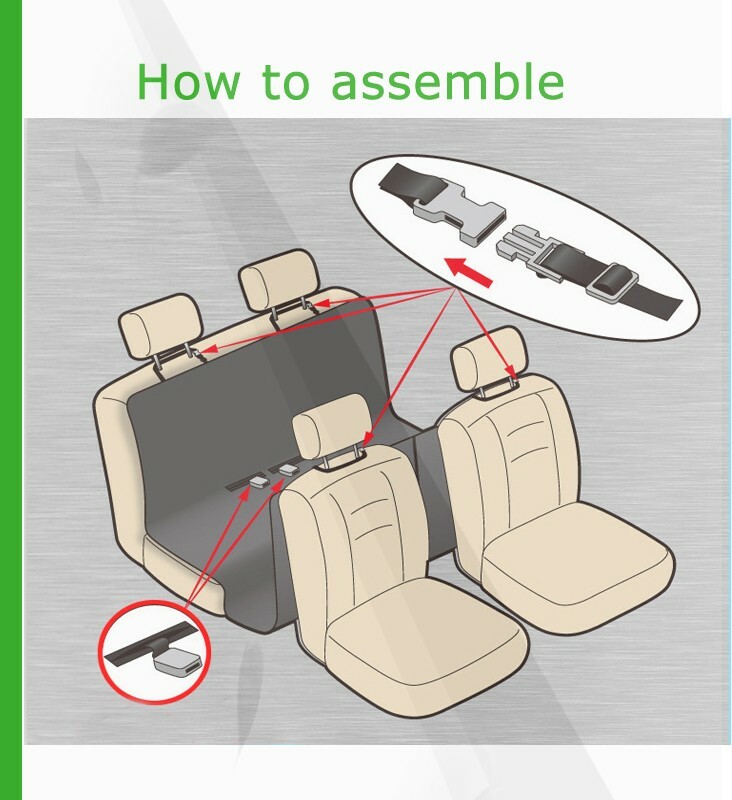 Secure the seat cover with two headrest loops over the backseat, and use two seat anchors and two elastic straps to keep it in place. PVC buckles and straps connect to your car’s headrests. We understand Pet comfort and safety is extremely important to the end consumer so elevated dog bed and many pet products have been constructed and designed with this in mind.